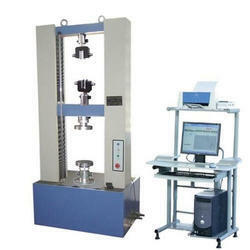 Our product range includes a wide range of universal testing machine. Various Analogue Models TUN-100, TUN-200, TUN-400, TUN-600, TUN-1000 & TUN-2000. Capacities 100 kN to 2000 kN. A variety of tests like Tension, Compression, Traverse, etc. are conducted. Loading accuracy well within ±1% conforms to IS:1828 / BS:1610.